Kodagu, also known by its anglicised name of Coorg, is a beautiful region nestled amongst the western ghats in Karnataka, India. Within driving distance of major cities like Mysore and Bangalore, this area is a major draw for leisure travellers. 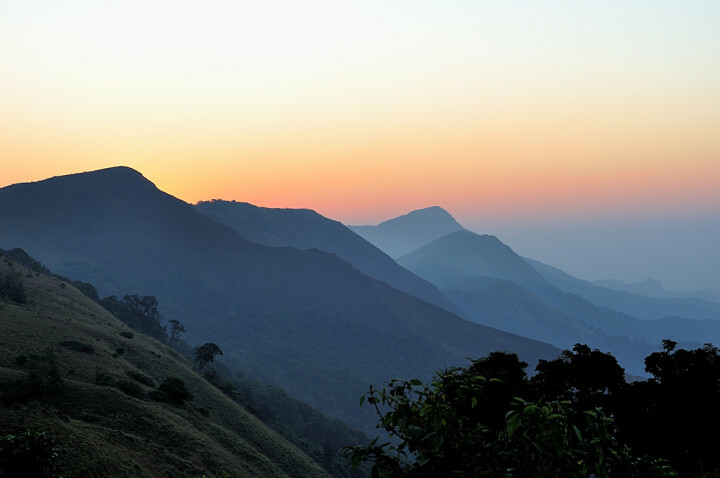 Kodagu, also known by its anglicised name of Coorg, is a beautiful region nestled amongst the western ghats in Karnataka, India. Within driving distance of major cities like Mysore and Bangalore, this area is a major draw for leisure travellers. Agriculture is the primary means of income and sustenance for people of Kodagu, but tourism is supplementing the economy well. 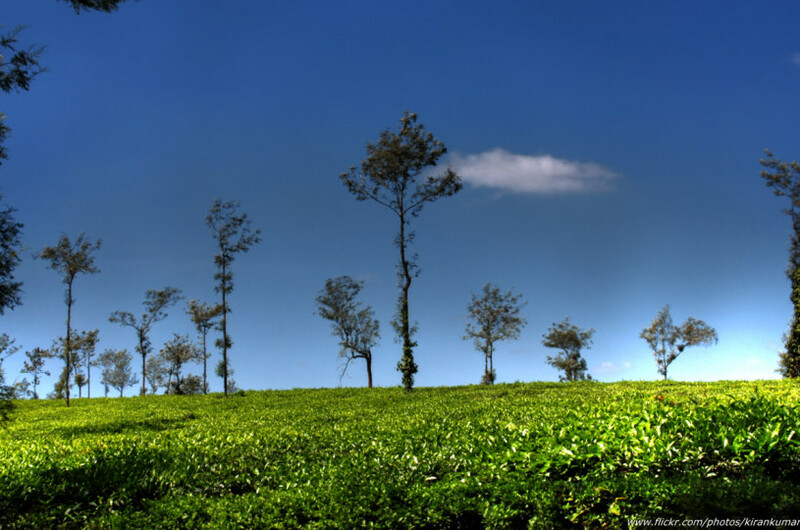 We will give you 5 reasons why you should be planning a trip to Kodagu! Kodagu’s topography is well suited for coffee plantations which require high altitude and steep slopes – with the first coffee estate established in 1854 by Englishman John Fowler, Kodagu has become the second highest coffee producing region in India, accounting for 30% of all Indian coffee. 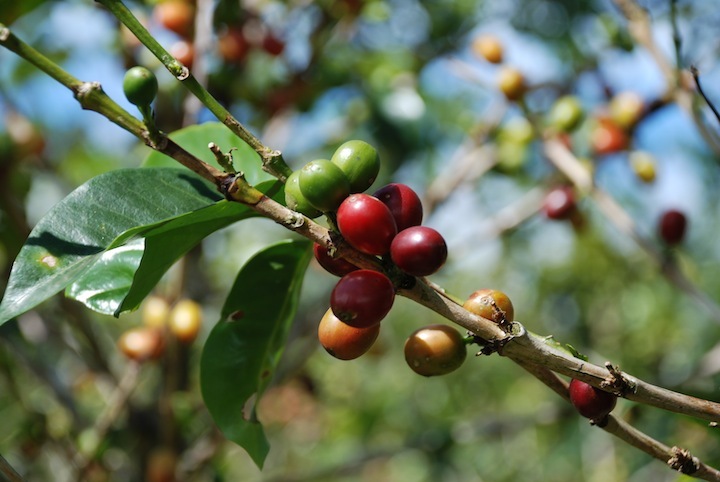 The region is known for its Robusta and Arabica coffee. Alongside Coffee – Pepper, Cardamom and Vanilla are grown in these sprawling plantations. You can also find and taste Kopi Luwak or Civet Coffee which is the most expensive coffee in the world! The coffee is made from the undigested coffee beans in civet cat dung. Unlike in other parts of the world, the Civet cats here are free and wild, so picking civet dung and making coffee from it is a fun activity you can engage in. Beautiful home stays nestled in the coffee plantations are ideal places to stay and explore. One can go on guided tours of the plantation, where you can can roast the bean and sip the coffee from the estate. In addition learn about various other produce that is grown along with coffee. The Kodava cuisine is tantalising on the palette and liberally flavoured with home grown spices. The unique cuisine is influenced by tradition, climate and locally available produce. The ancestors of Kodavas were an indigenous warrior tribe that liked to hunt wild boar for food, today it has been replaced by domesticated pigs. While pork is a local favourite, chicken and mutton are also used. Rice and its various cooked forms are a staple, which comes as no surprise as paddy is grown in abundance here. Vegetarian dishes made of bamboo shoots, wild mushrooms, jack fruit and raw mangoes are also common. Jaggery, coconut and local honey are often used to sweeten. Kachampuli, a local vinegar used as a souring agent is indispensable in Kodava cuisine. In order to truly experience this cuisine one has to stay with a local family, restaurant food just doesn’t make the cut. If one is interested in learning to cook Kodava cuisine, cooking classes with expert local cooks can be arranged at some home stays. Kodagu district with its undulating mountains, waterfalls and evergreen shola forests is ideal for avid trekkers. At an elevation ranging from 4500 to 5800 feet, the landscape is diverse and breathtakingly beautiful. Thadiyandamol, Iruppu falls, Galibeedu to Subramania, Brahmagiri are some of the popular routes. Apart from these popular routes, there are several more known only to locals. The region also has many camping sites, while some of them are well organised in private lands there are many wilderness sites too. Taking help of experienced guides is advisable as you could encounter curious wild animals. The mountainous terrain and large forest cover in Kodagu is a safe heaven for several bird and animal species. In all there are three forest reserves and one national park in Kodagu. The Pushpagiri forest reserve in the north is one of the most important bird sanctuaries in India. The yellow browed Bulbul, Pacific Swallow, Grasshopper Warbler, Orphean Warbler, yellow billed Babbler and many species of Owl can be found here. 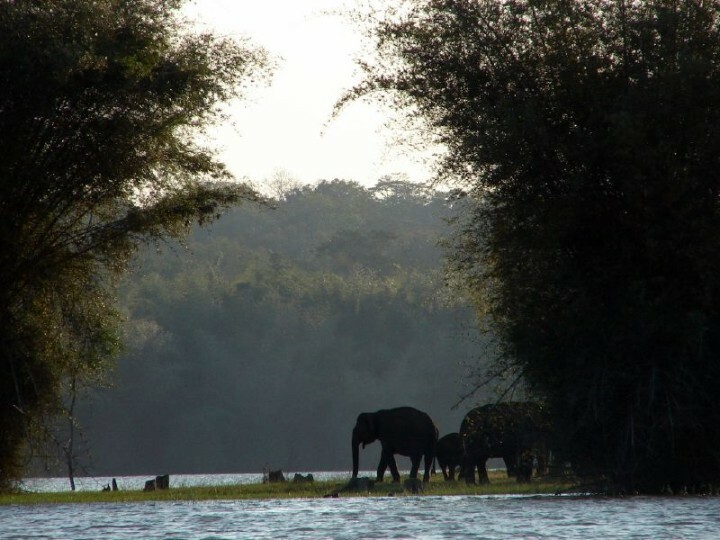 The popular Nagarahole national park is home to asian elephant and the majestic Tiger. Other famous residents are Leopard, Striped Hyena, Jackals, Axis Deer, Sambar, Mouse Deer, Four-horned Antelope, Wild Boar, Crested Porcupine. Wildlife enthusiasts and photographers can enlist professional services of naturalists and conservationists who can take you on guided multi day tours through the forest reserves. One can also stay at government owned lodges inside the Nagarhole park, from where Jeep safari’s can be arranged. 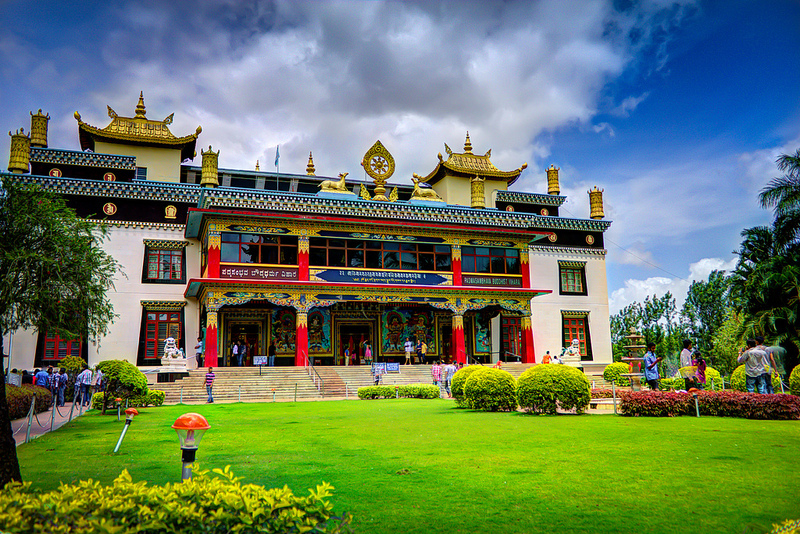 Bylakuppe is one of the largest Tibetan settlement in India, more than 10,000 refugees are believed to be living in the protected area allotted by Goverment of India. There are several monasteries, nunneries, buddhist universities, meditation halls and temples in the area. The most famous of them all is the Namdroling Monastery, which receive thousands of visitors every year. People spend time meditating, visiting the library and walking the grounds. One can also indulge in some authentic Tibetan cuisine in small restaurants in the area.